The fish market at Rungis is a beehive of activity in the wee hours of the morning. It's open from 2:00-7:00 am. Even though I'm more of a night owl than an early bird, a couple of not-to-be-missed adventures have compelled me to roll out of bed in the wee small hours of the morning. When we lived in Indonesia, it was hiking to the rim of a volcano to watch the sun rise over the island of Java. In Trinidad, it was traveling to an isolated beach to observe leatherback sea turtles lay their eggs. 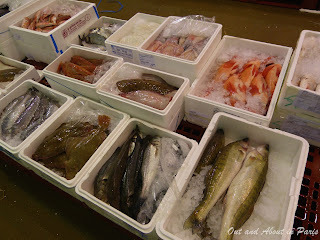 In Paris, the only item on my "must get up early to see" list was Rungis, the largest fresh food market in the world. Unlike my trips to the volcano and remote beach, figuring out the logistics of visiting Rungis proved to be a daunting task. The pavilions of the massive market, which are spread over 234 hectares (578 acres), are strictly off limits to the general public. 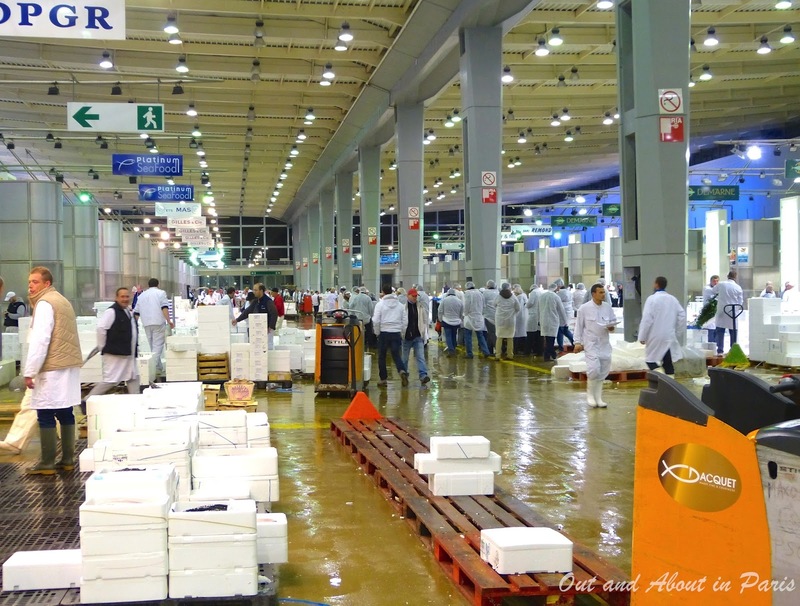 When I learned that Carole Metayer, one of twelve official guides with access to Rungis, had an extra spot on a private tour, I immediately jumped on the opportunity. Not even the 4:00 am meeting time at a hotel in the first arrondissement dampened my enthusiasm. "Les Halles", the enormous painting by Léon Lhermitte. 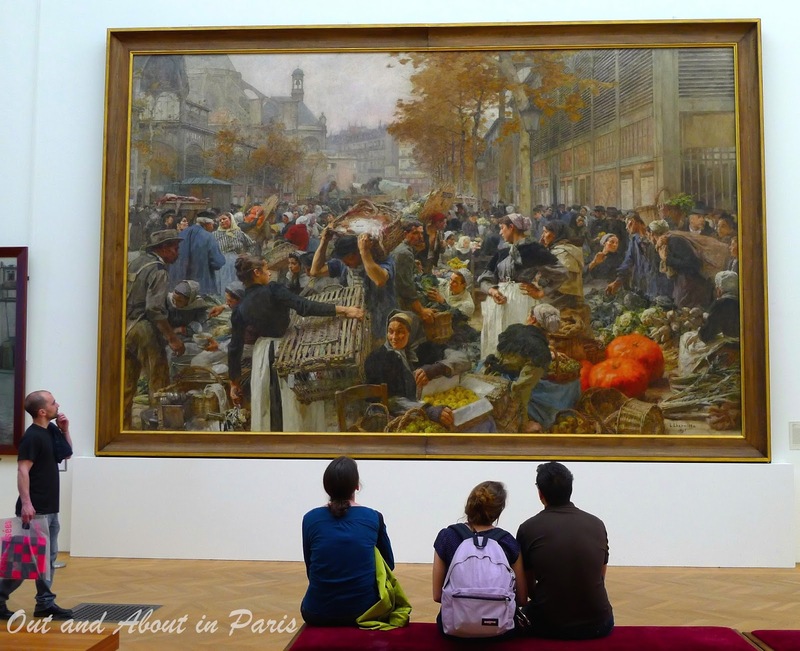 It was restored thanks to the patronage of the Marché International de Rungis and returned to its original place in the Petit Palais in 2014. As Carole skillfully navigates the deserted streets of the city, she tells us about Les Halles, the former food market that was created in 1110 in what is now the 2nd arrondissement. In his classic novel, "The Belly of Paris", French author Emile Zola powerfully describes the olfactory sensations experienced during a visit to one of the cheese stalls at Les Halles. One section recounts in vivid detail how the gamy odor of a ripe camembert overpowers the milder scent of the marolles and limbourg cheese. If you add the heady aroma of fish, beef, chicken and vegetables, it's little wonder that city officials decided to tear down Les Halles and move the massive market outside the center of Paris during the modernization campaign of the 1960s. Even though I still mourn the loss of Les Halles, it's hard not to be impressed by the overwhelming size, efficiency and cleanliness of Rungis. Located seven kilometers south of Paris, the market includes 17 restaurants, 20 banks, a gigantic tower for producing ice and its own train station. More than 11,000 people work at Rungis. There's even a school where future fish mongers learn their trade while enrolled in a three year program. As we don sanitary white coats and disposable hair covers, Carole explains that we'll start our visit at the fresh fish pavilion since they will soon close for the day. 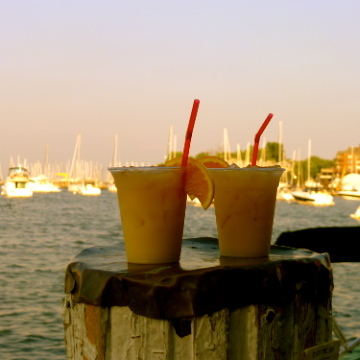 It's not yet 5:00 am! The next time you're savoring sole meunière and potatoes at a Parisian café, it's worth pausing for a moment to consider the journey that the fish made from the Atlantic Ocean to your plate. After being offloaded from a fisherman's boat in Normandy, the fish was transported in sterile styrofoam boxes to Rungis by one of the 26,000 trucks that arrive at the market every night. The café's chef, who rose before dawn to select the best ingredients for his customers, spots the sole and decides to make it a prix fixe option for lunch. He quietly negotiates the price with the wholesaler while standing in a box marked with paint on the floor. It's a strictly private discussion because the price varies from client to client. It depends on the relationship between the buyer and seller, the quantity purchased, the freshness of the fish and the time of day. 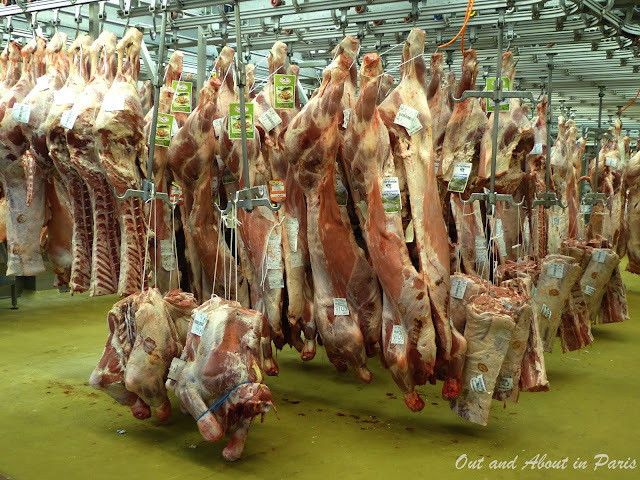 With a mind-boggling number of beef carcasses hanging from ceiling hooks, the meat hall is not for vegetarians or the faint hearted. Walking past row upon row of Burgundy's famous Charolais beef, aging steaks and Limousin veal, I'm staggered by the amount of meat consumed by Parisians in a single day. Just as corpses in a morgue have identifying tags attached to their toes, the carcasses have labels indicating their breed, origin, weight and the exact dates that they were slaughtered. Each detail is meticulously recorded to ensure that the cow, calf or bull has been "born, raised and killed in France". Pointing at cow heads hanging from hooks and bins full of entrails, Carole assures us that all of the organs are used. Nothing is wasted. I'm somewhat relieved when we leave the hall. The blast of cold October air feels fresh against my face. As we walk past a group of jovial butchers seated at a bustling café, our guide tells us that 3,000 cups of coffee are consumed there every morning, more than at any other café in France. 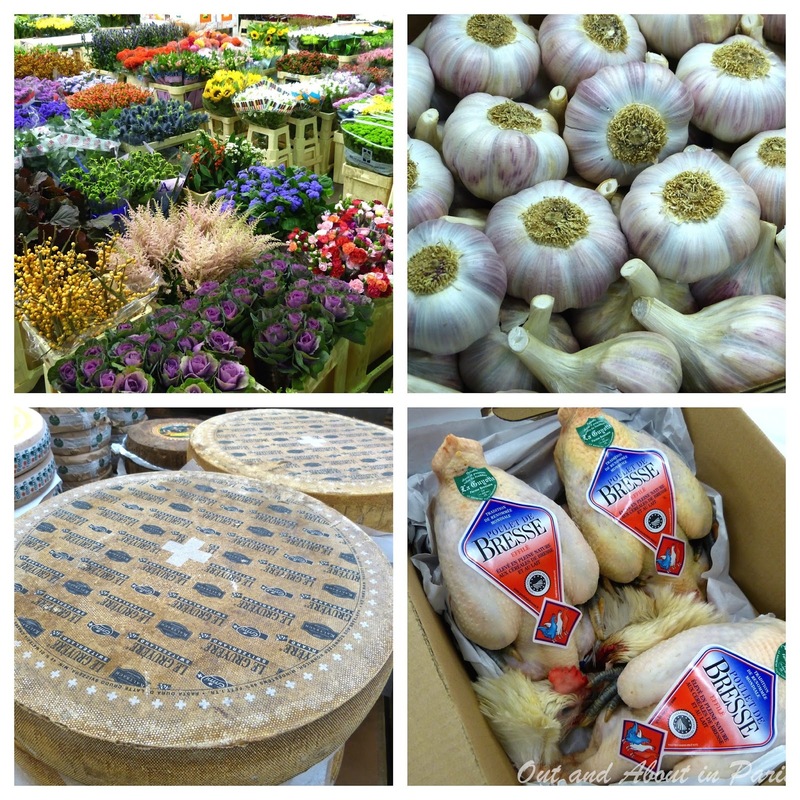 The next stops on our tour are the poultry and game pavilions, cheese halls, flower market and the fruit and vegetable pavilions, which comprise the largest part of the market. Along the way, Carole shares fascinating bits of information. Holding a bulb of Lautrec pink garlic in her hand, she explains that it's one of twelve AOC ("controlled designation of origin") fruit and vegetables in France. 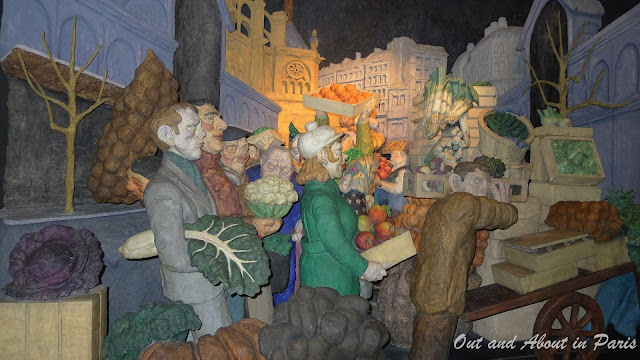 With a Master’s degree in Food and Food Culture from the Institute of Geography at the Sorbonne University of Paris, Carole considers Rungis a living museum of French heritage. 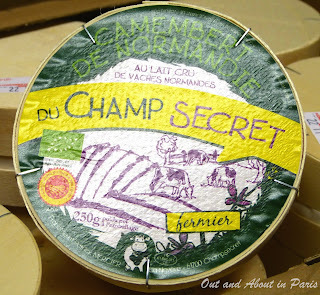 When Carole spies a small wheel of cheese, she asks us if it's a "real" Camembert. Slow to provide any kind of answer because our minds are overwhelmed by all that we've seen, Carole reveals that a real camembert is always labeled "Camembert de Normandie" and weighs 250 grams. Without the "de Normandie", it's not an authentic camembert. The sun is starting to cast a pre-dawn glow over the horizon as Carole drives us to our last stop of the morning, a café for a "Rungissois breakfast". Fortified after a cup of steaming coffee, buttery croissant and plate of charcuterie and cheese, I'm ready to start the day. It's not yet 8:00 am! To book your trip to the world's largest fresh food market or another culinary tour of Paris, contact Carole Metayer at La Route des Gourmets. You can also connect with Carole via her blog, L'Actu des Gourmets, and her Facebook page. Flowers, Lautrec pink garlic, Gruyère cheese from Switzerland and Bresse chickens at Rungis, the world's largest fresh food market. 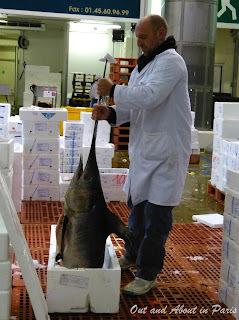 Bridget, I'm so happy that I was able to visit Rungis! It's staggering to see so much food in one place ... and to think that it's for one city, albeit a city that loves food! You would love this tour! I've always been intrigued to visit Rungis but have never made it. Markets were one of my happy places in Paris and this seems to be the mother of all markets! Thanks for sharing!